The Roman “Good Goddess,” Bona Dea is associated with women, virginity, fertility, and healing. She was worshipped mostly by women and slaves, particularly during her ceremonies on December 4 each year, at which only women were allowed to be present. 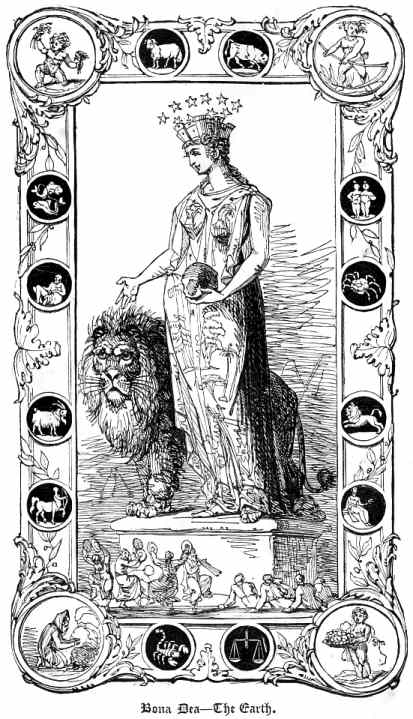 Her image was often produced on Roman coins, usually sitting on a throne holding a cornucopia and sometimes accompanied by a snake, which was her symbol.